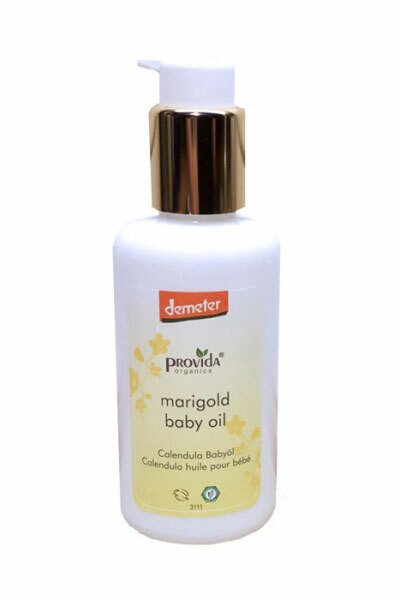 Contains most valuable Demeter vegetable oils and oil extracts. It is infinitely gentle to the skin and also suitable for the most sensitive skin. 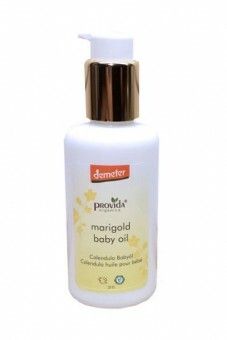 Olive oil and rapeseed oil care for the tender skin of your baby and protect the skin from fat and moisture loss. Calendula and chamomile soothe the sensitive skin. Application: After the bath gently massage the fine oil sparingly into the skin of the whole body. Then let your child romp naked in the warm room for a few minutes: This will give the little ones a lot of fun and is good for the entire body skin. On a soft paper towel, this oil is also very good for cleaning the diaper area. Ingredients INCI: Brassica campestris seed oil **, Helianthus annus seed oil **, Olea europaea fruit oil **, tocopherol, Calendula officinalis flower oil extract **, Anthemis nobilis flower oil *, (Limonene).